Chanuka Ratwatte and four others were granted bail today by Colombo Fort Magistrate. They were each released on a cash bail of Rs. 300,000 and two sureties of Rs. 2 million per suspect. They were arrested and remanded for misappropriating funds amounting to Rs. 4.2 billion which belonged to over 350 investors at Entrust Securities. Apart from Ratwatte, the other four board members who were granted bail were Dharmapriya Bandara Dasanayake, Romesha Dushanthi Senarath, Sanjeewa Dayaratne and Niroshan Mendis. They have been charged under Sections 5(3) and 8(3) of the Public Property Act and Section 386 of the Penal Code. Ratwatte and the four others were arrested by the Financial Crimes Investigation Division in September for allegedly swindling billions of rupees. Initial investigations estimated that they had played out as much as Rs. 12 billion. 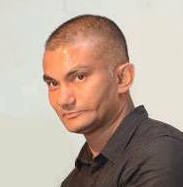 Chanuka Ratwatte, who was the Group Managing Director of Entrust Securities PLC, is the son of Anuruddha Ratwatte. Election Night Coup: Why Was De Facto CJ Pieris At Temple Trees On Election Night?